Modesty aside, I am very creative with my head always full of ideas of a great design. I know what colors go together and what do not. However, it seemed that my innate talent lacked the appropriate skills as I never bothered learning InDesign or PhotoShop or even Windows’ Publisher. Just when I am ready to accept the fact that I have no talent in graphic designing, I stumbled across Canva. An online software that allows everyone to design from Facebook covers to business cards to infographics. It was like an idiot’s guide to graphic design. What is great about the software is that everything is done instantly. There are ready-made layouts that will serve as guide you can play with a wide-ranging color palette. There are also photos that are available or you can make use of your own. Canva benefits everyone, especially bloggers like me who lacks skills in making my own designs. Some graphics will, definitely, make a blog post more alive. I am still tinkering with the software hoping to make my own designs. Below are the three reasons why I immediately fell in love with this software. The software is very easy to use. Everything is ready and right at your fingertips. There are hundreds of layouts, images, icons, and colors to choose from to fit your needs. The tools are also easy to understand and manipulate. Signing up is for free and gives you access to myriads of designs you can play with. Canva also has stock photos you can use and costs $1 per image. This is very cheap compared to subscriptions to companies offering stock photos. 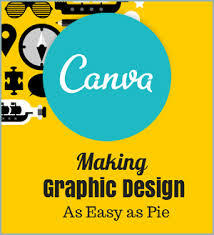 Canva gives off the vibe of being young, trendy, and hip similar to Instagram, Twitter and Tinder(?). The software targets and considers groups that do not have a lot of experience when it comes to design and make it easier for them. 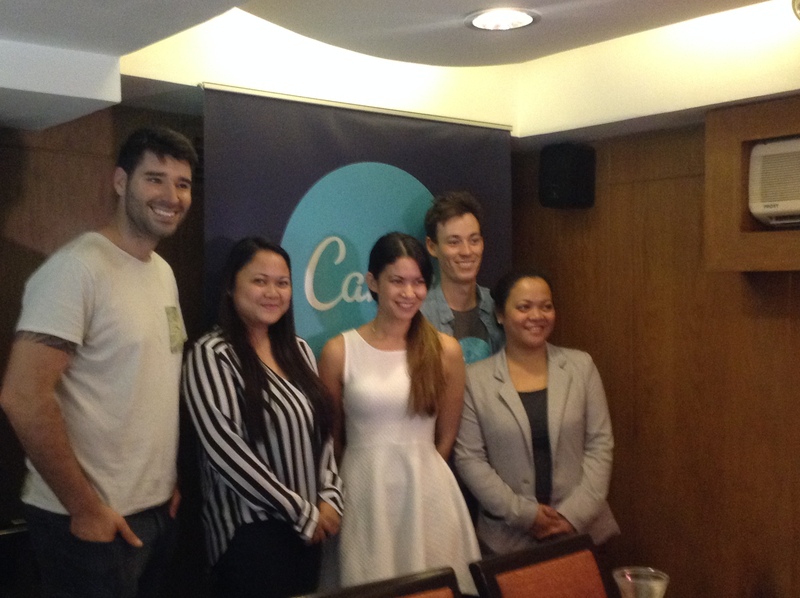 Early this week, Canva opened its second office in Manila. Canva launched its business just 11 months ago and experienced rapid growth and immediately attracted more than 650,000 users. 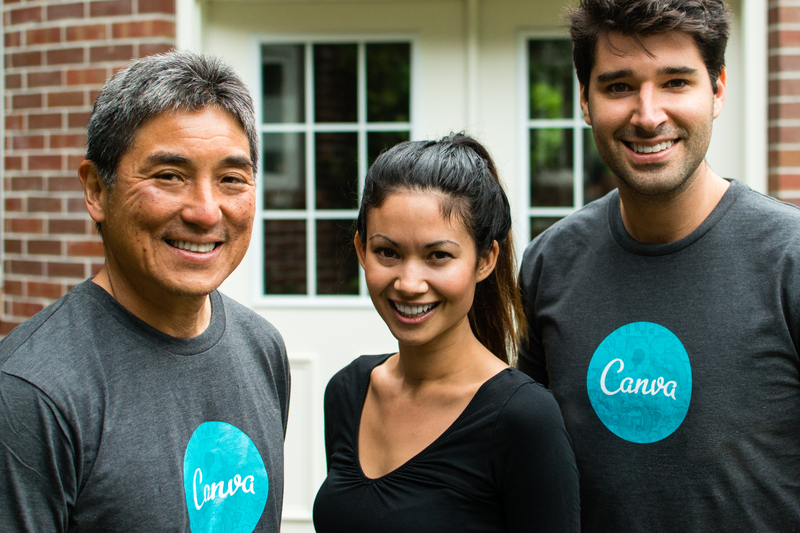 Now, Canva is set to tap Filipinos talent by putting up an office in Manila making it is headquarters in Asia. Canva has established a permanent office in Manila with a focus on marketing, customer service and graphic design. The company plans to grow its local team and is actively recruiting local talent. “Canva makes graphic design amazingly simple for everyone and we’re excited to officially bring Canva to the Philippines,” said Canva CEO Melanie Perkins. “Filipinos have a strong design aesthetic and tend to be early adopters of new technology. We’ve already had an incredible response from Filipino marketers, bloggers, and small businesses, who have been using Canva to create their own marketing materials. It’s been one of our best markets since we launched, so it made absolute sense to establish a local presence,” she quickly added. Mel (as her colleagues fondly call her) also confirmed that there are so many things in the pipeline like a mobile app and a widget, which will be released soon. Former Apple chief evangelist Guy Kawasaki recently joined the team. COO Cliff Obrecht shared a funny story during the press launch of Canva in Manila how they managed to talk to Guy Kawasaki in being a full time member of Canva. He said that he saw Guy shared one of the designs he created through Canva and Cliff, who never let an opportunity go wasted, jumped and chatted with Guy Kawasaki. After a few Skype calls, Mel and Cliff flew to San Francisco and met up with one of the top influencers in the tech market. According to them, Guy loved the software and often uses it. 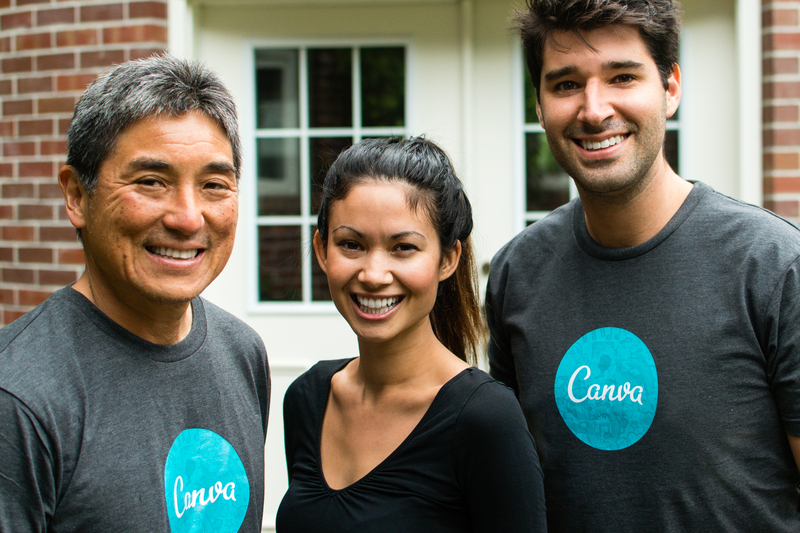 Next thing they knew, Guy Kawasaki reprised his role as chief evangelist for Canva. Guy Kawasaki also served as an advisor to various companies.